Published since 2012 by the International Institute of Social and Economic Sciences (IISES). Trebesovska 14, Prague, 19300, Czech Republic. Since 2017 the journal is published semiannually. Publishing months are June and December. A digital object identifier (DOI) is assigned to every article in the Journal. The Journal is in DOAJ database now. The IJoES is a double-blind peer-reviewed journal freely available online. The aim of the IJoES is to publish articles that contribute significantly to the body of knowledge. It publishes both theoretical and empirical articles and case studies relating to economic theory, finance, banking, international trade and related disciplines. Published articles use scientific research methods, including economic modeling, econometric and statistical analysis, case studies, field research and historical analysis. 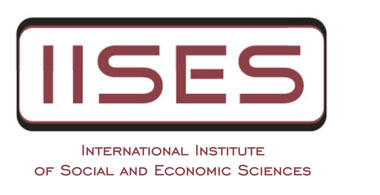 The IJoES may target scientists, researchers, professors, students and policy makers from economics, finance, banking, international trade and related domains. For instructions for authors please click the following link.